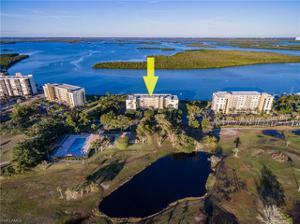 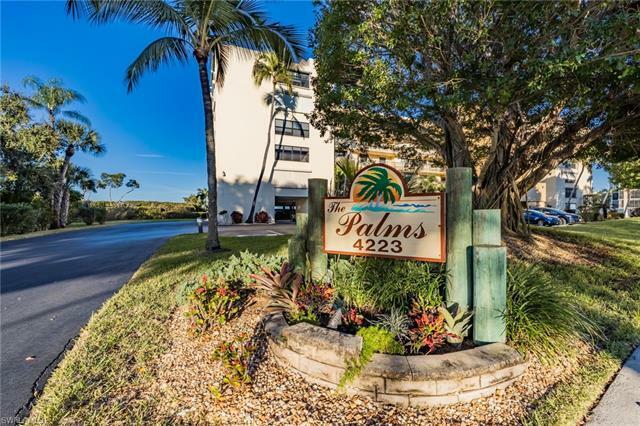 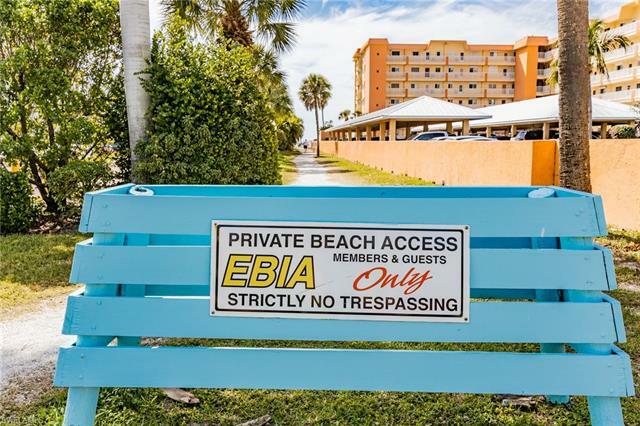 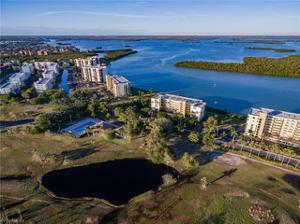 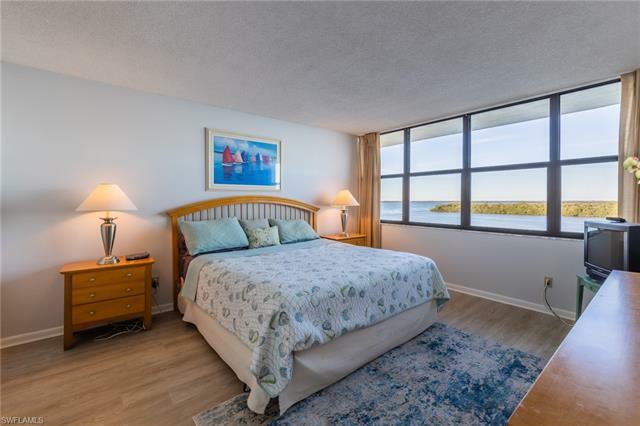 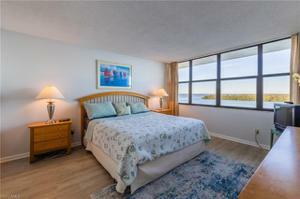 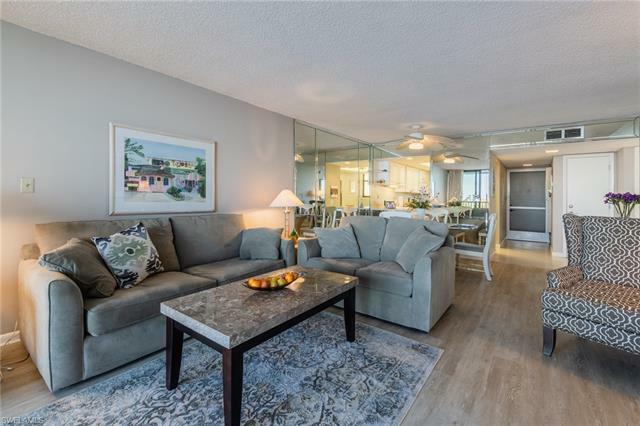 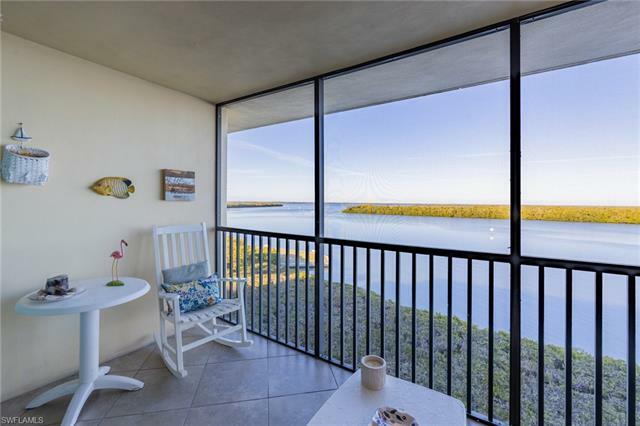 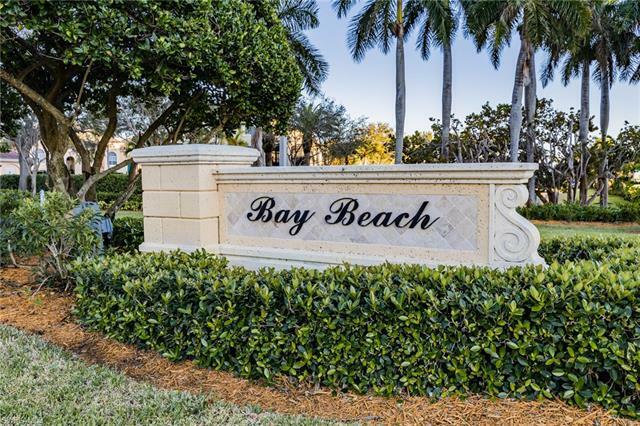 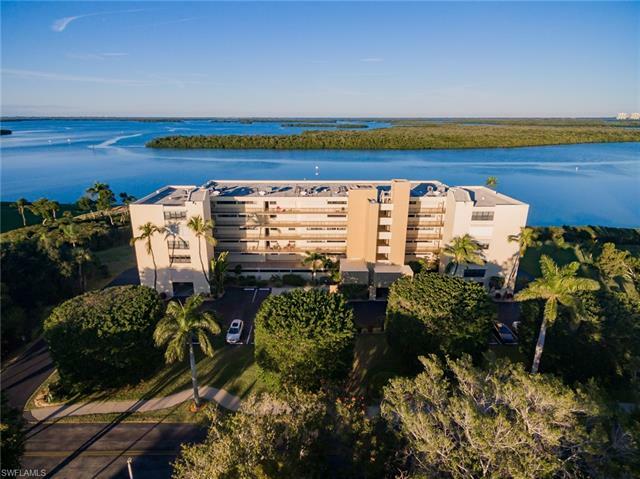 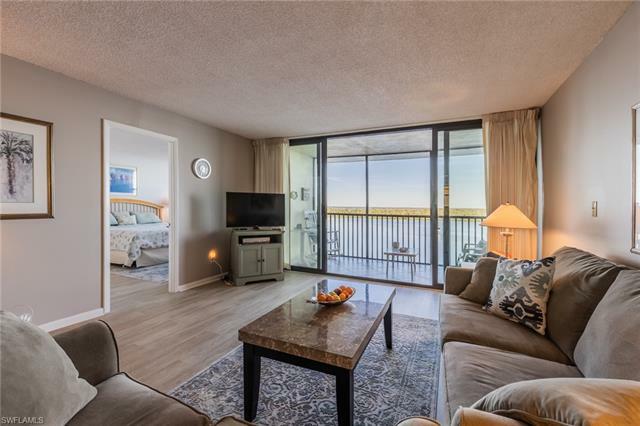 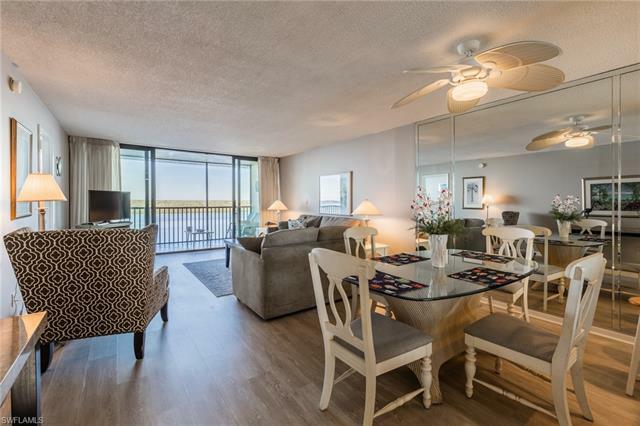 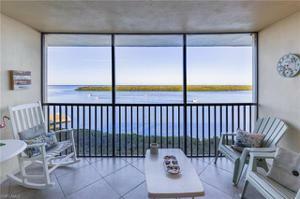 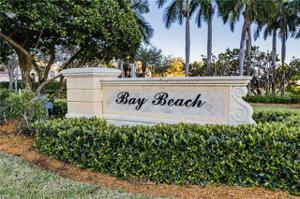 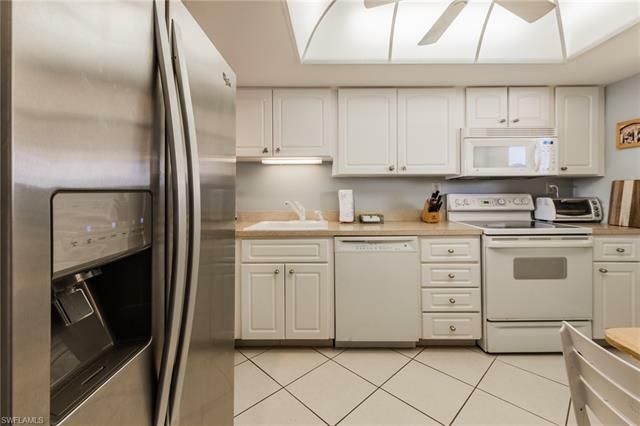 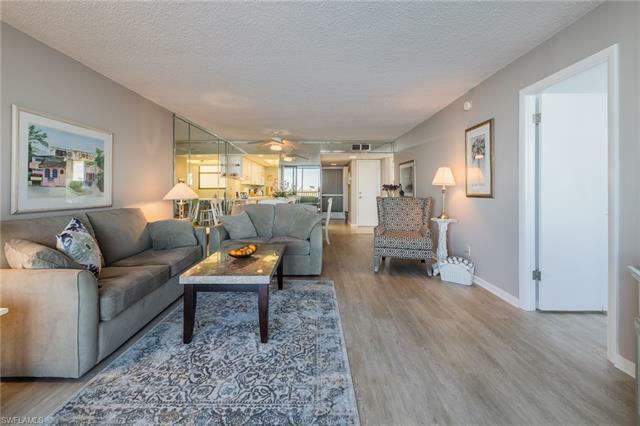 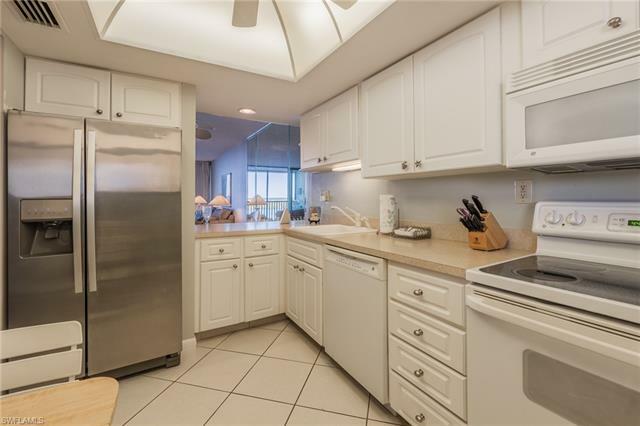 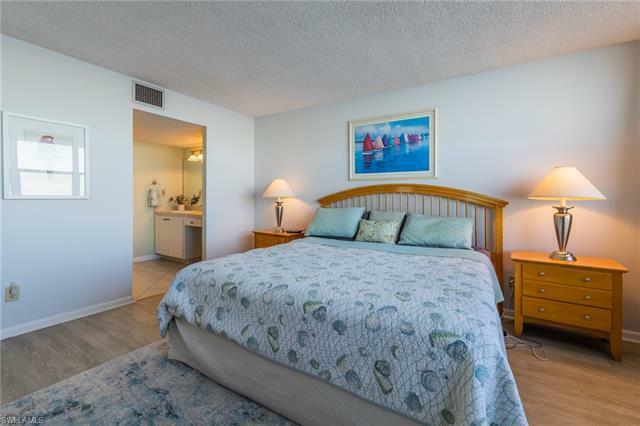 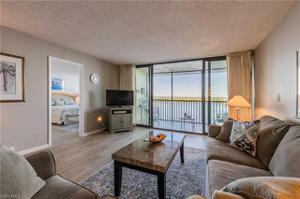 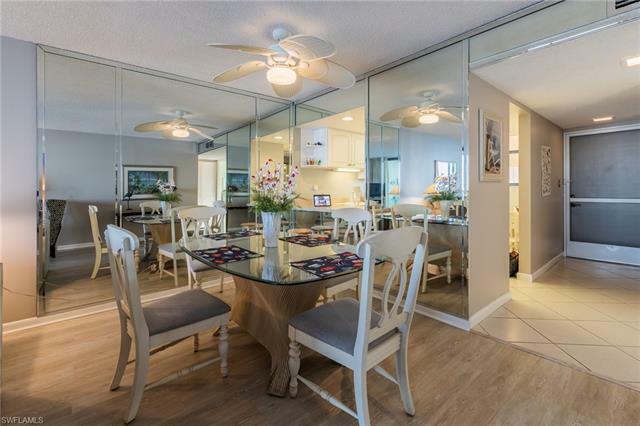 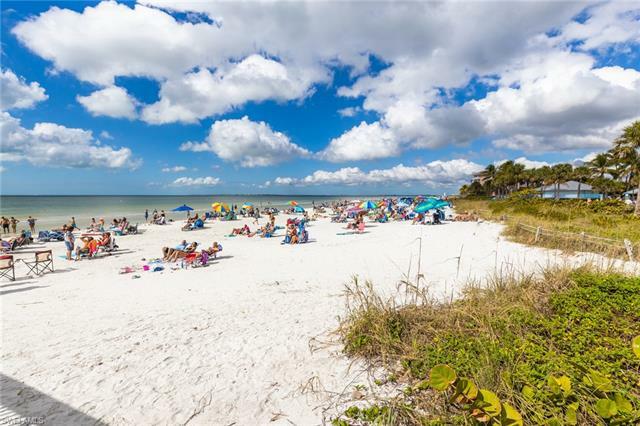 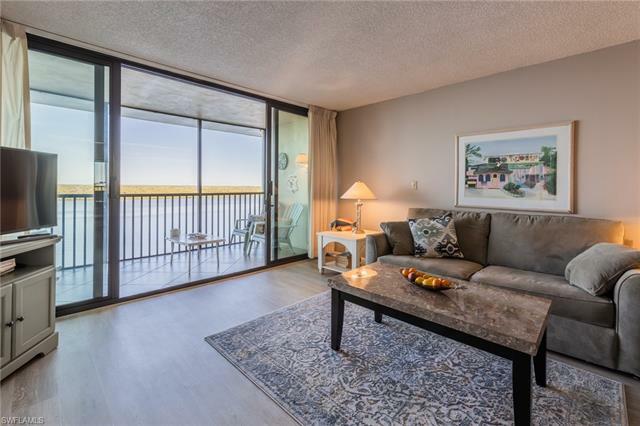 It is easy to leave your troubles behind when you see the amazing, panoramic views of Estero Bay from almost every room in this condo in The Palms of Bay Beach is located on the quiet, south end of the white sugary sands of Fort Myers Beach. 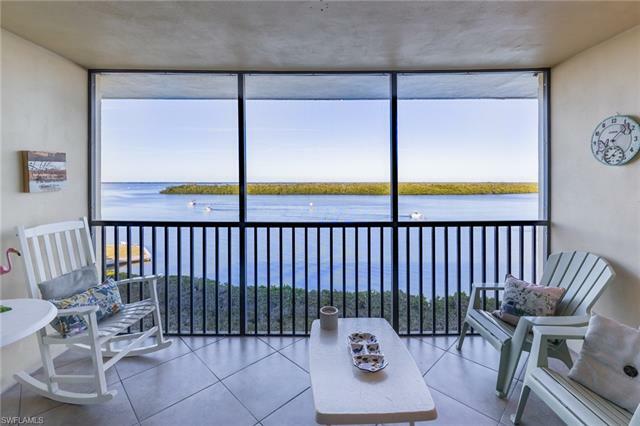 Watch boats cruise by while dolphins dance in their wake. 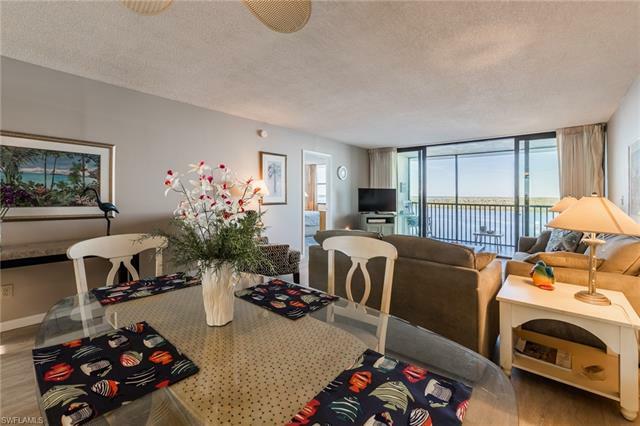 Out of the hustle and bustle, but still only a quick walk to restaurants, cafes, shops, public marina and private beach access. 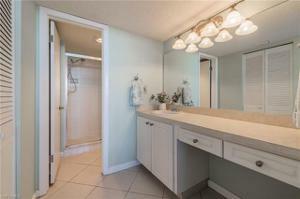 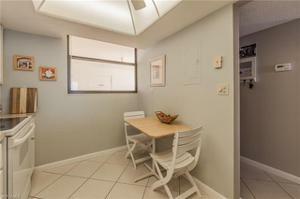 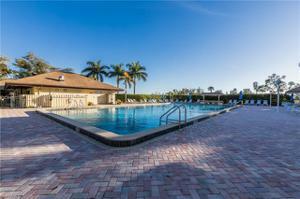 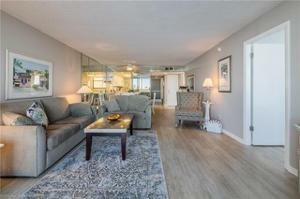 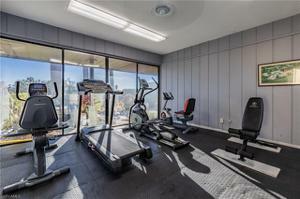 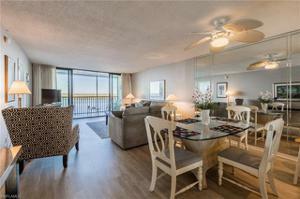 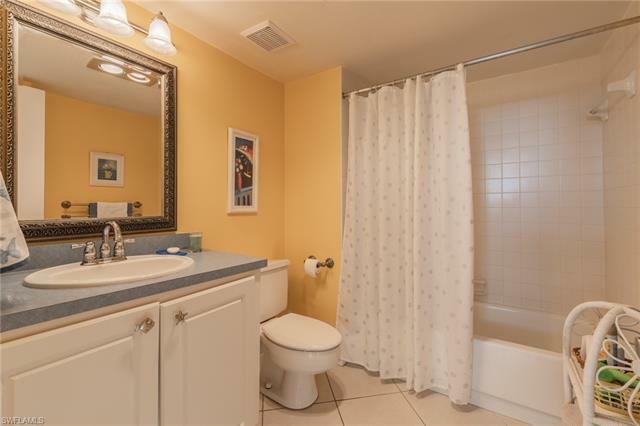 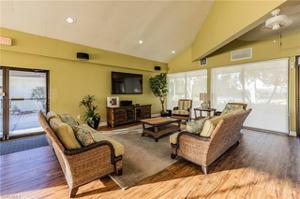 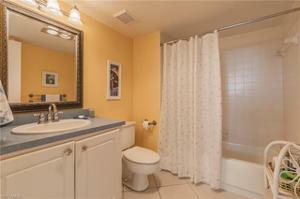 This two bedroom, two bath condo comes turnkey. Only thing you need to bring is your toothbrush & bathing suit. 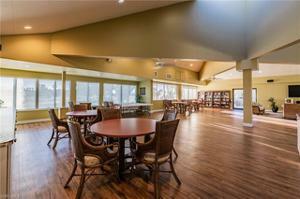 Additional storage and under building parking. 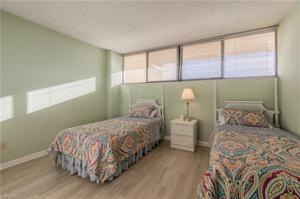 Impact Doors and Windows. 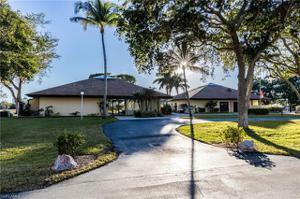 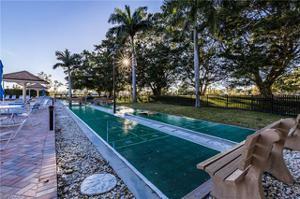 Amenities include large, heated swimming pool, bike storage, car wash area, clubhouse with catering kitchen, large social room, his & her saunas, tennis court, shuffle board & fishing pier. 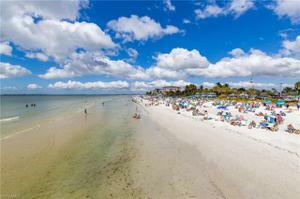 Direct Gulf access boat docks are available for purchase/lease in the Bay Beach area. You can bike or jump on the Beach Trolley & be at the Beach Cinema, Time Square or the Pier in no time & don't have to worry about parking. 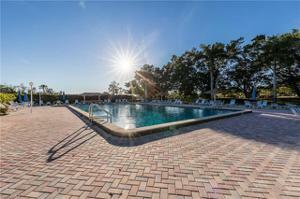 Well run HOA, in fact HOA fees WENT DOWN this year!!! If you aren't ready to retire and live full-time at the beach yet, there are excellent rental opportunities.